Biochemic system of medicine is a simple and rational science of therapeutics. 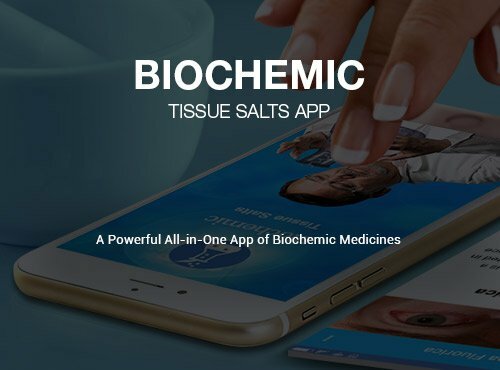 Biochemic Tissue Salts mobile App is your best companion for precise 12 biochemic tissue salts. With one click explore the whole subject of tissue salt medicines. Optimize your time and maximize your knowledge of Schuessler Tissue Salts. 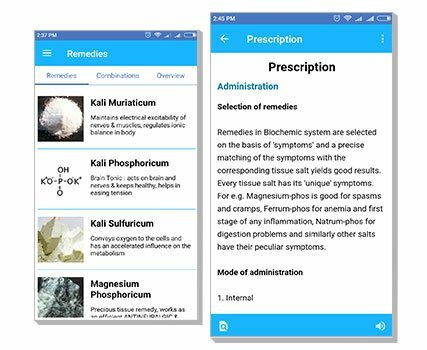 Biochemic Tissue Salts Mobile app gives you the control to change the brightness, text and fine tune the size and style as per your preference. Navigating within different chapters is so effortless saving your valuable time to read, learn and memorize. 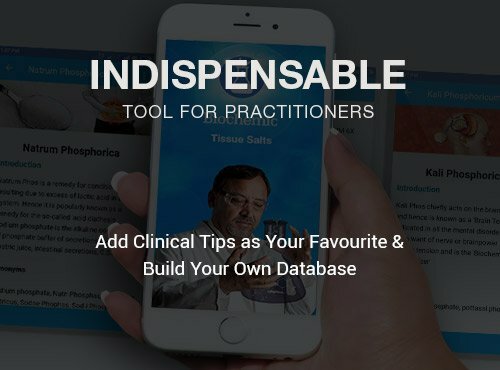 Biochemic Tissue Salt App makes it easy to grab the thorough information and improve your expertise. 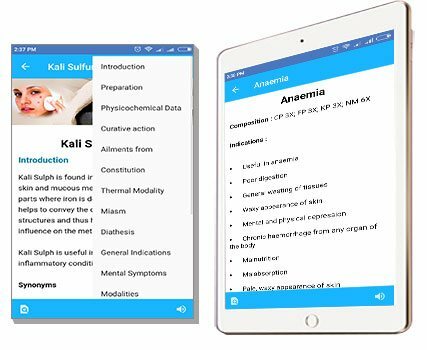 Clinical conditions, therapeutics and Self Assessing Questions evaluate the learning and uplift your insights of biochemic tissue salts. 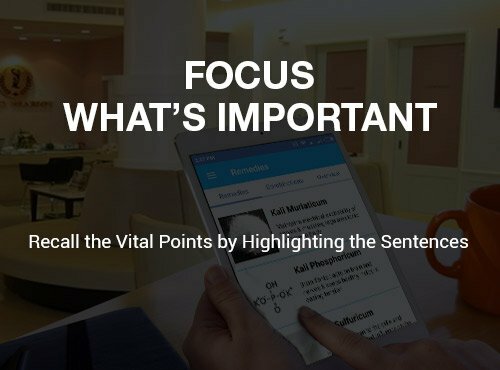 Highlight to record essential points that you might do using a pen in a book. The app allows you to take read chapters offline so that they can be accessed anytime wherever you want. Find your favorite chapters and simplify the process of reading without searching for network. 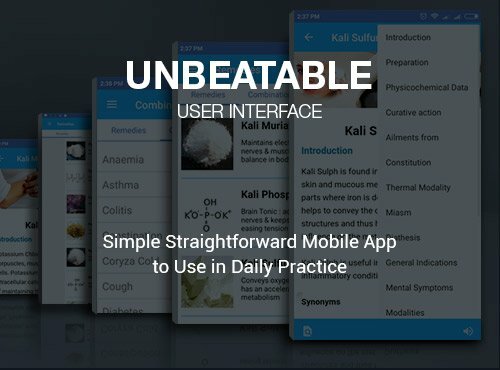 Just as you turn pages of a book, swipe the chapters condensed in one single mobile app. Seamless interface makes it delightful to read. 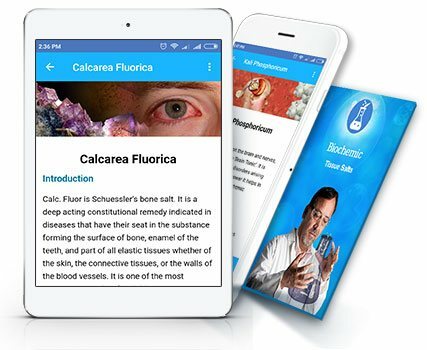 Biochemic Tissue Salt Mobile App is cleverly designed and focused on each feature allowing for a comfortable reading. You can enable text-to-speech feature and the mobile app will read aloud the chapter to you. 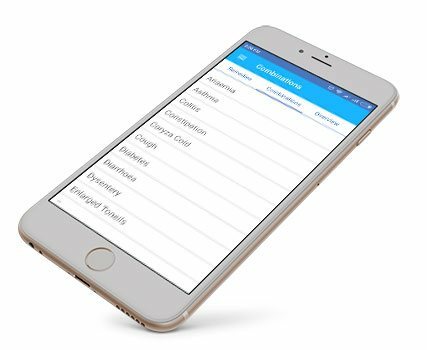 Your device should have following basic system configurations to run Biochemic Tissue Salts Mobile app.